This is the Eucalyptus Forest Faux Suede Throw Pillowcase. 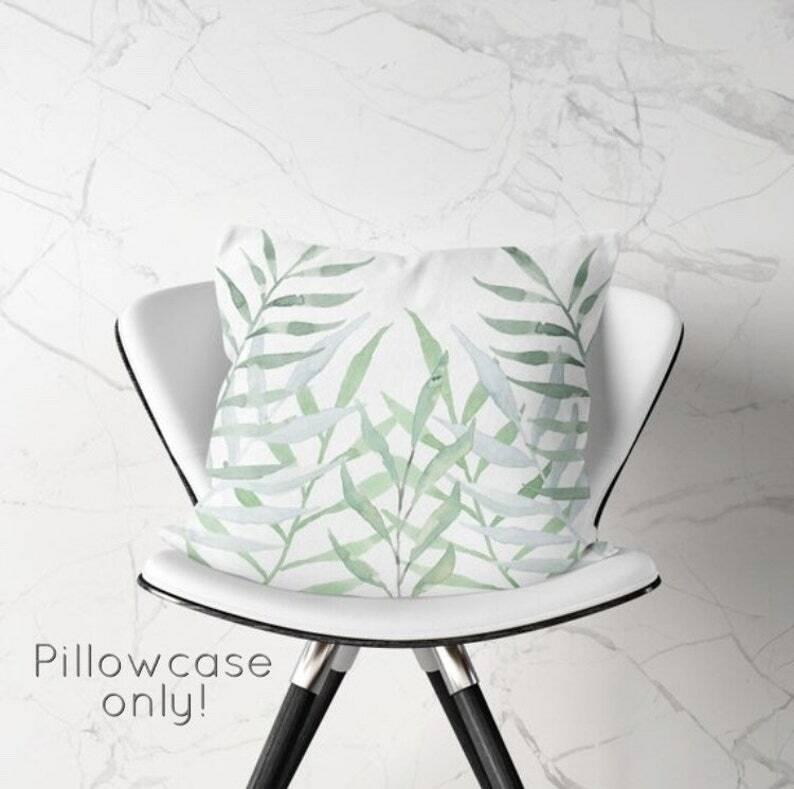 It is a super soft, gorgeous, white pillow printed on both sides with beautiful sprigs of eucalyptus. This pillowcase will truly bring your room together with a unique watercolor design that calming, classy, and neutral - it is truly home improvement made easy. You will feel at ease when creating your haven into a place that is truly tinted with your personal touch. This includes ONLY the pillowcase - not the pillow - you must use your own pillow insert.